Growing organic vegetables in our aquaponics systems the last few years has been a real joy and an education. Moving and expanding the systems into the greenhouse have afforded us a great opportunity to grow many more of our vegetables. 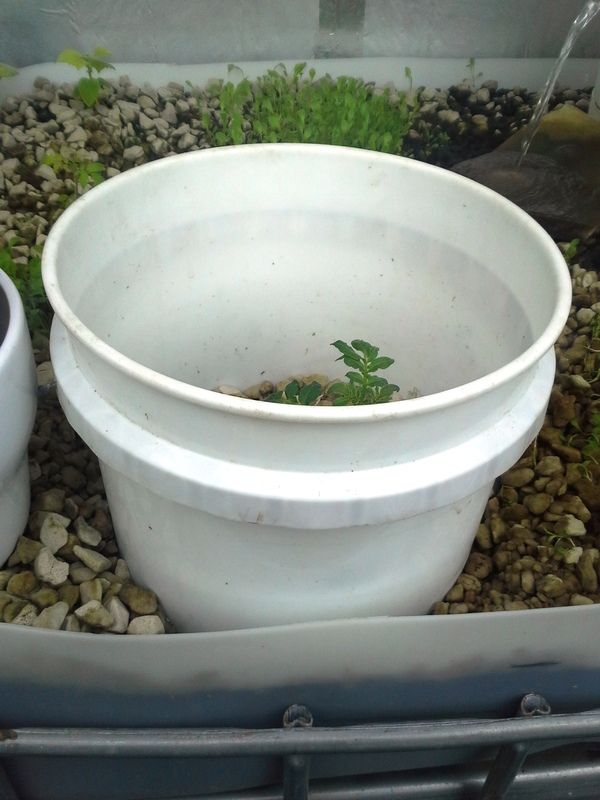 We have done very well with above ground vegetation (tomatoes, peppers, strawberries, etc) and herbs, but I have heard that with a fill and drain aquaponics system, one can also grow root crops. We have actually grown radishes and baby carrots in our system. They grow just under the surface of the media so they do not get an enormous amount of water from the fill & drain of the bed. I have found through research that one can also grow things like beets and potatoes. This was intriguing. So we have set out with our first experiment with growing potatoes. We chitted an dried and organic potato as normal, then planted it on top of the media bed, pulling media up to it to mound slightly. It sprouted quickly. 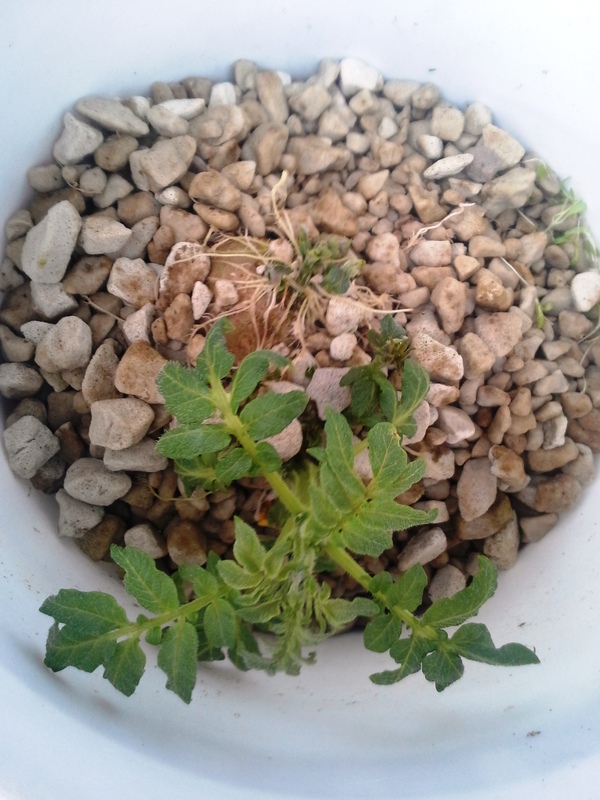 Within a week it was over 6″ tall. 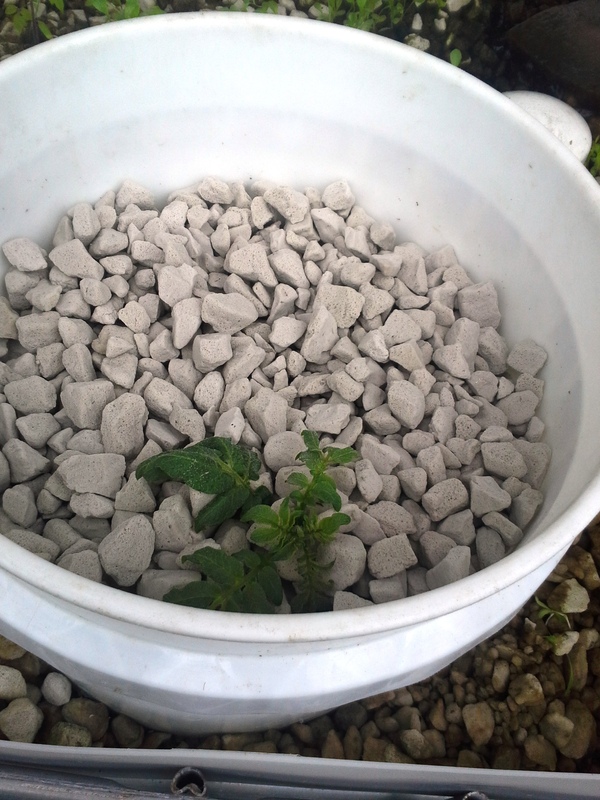 I was not sure what to do next, so I decided to cut the bottom out of a bucket and bury it in the media around the potato. Then filling the bucket with media around the sprouted spud. Much like “hilling” the potato in the standard garden bed. 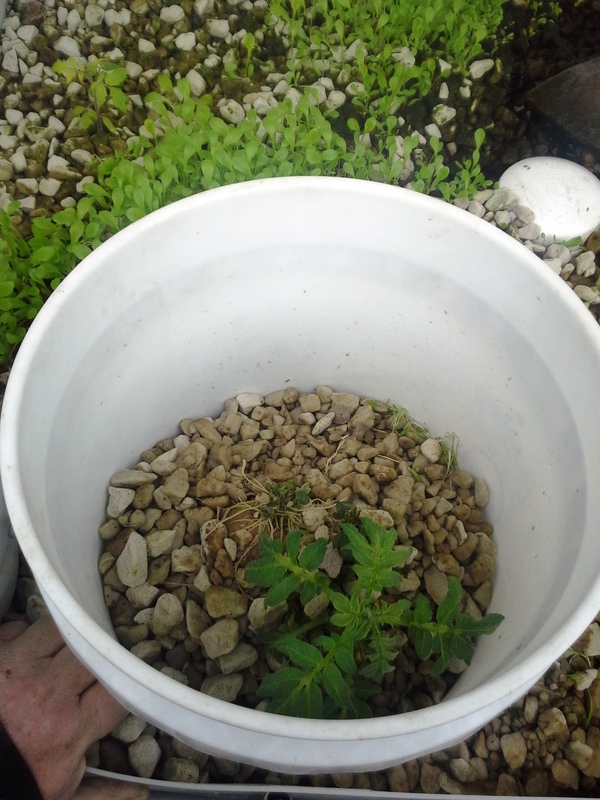 I will keep hilling it as it grows, even adding a second bucket to the top if needed to give plenty of room. I am really excited to see how this experiment turns out….I will keep you updated.